Honest History’s Guide has been downloaded almost 1050 times since Anzac Day. Honest History has sent a copy to each War Memorial Council member and offered to make a presentation on the Guide to the Council. A New York Review of Books article by Timothy Snyder about a politically-inspired change of plan for a new war museum in Poland allows comparisons with the way other countries, including Australia, manipulate commemoration for nationalistic and political purposes. A large collection of links from Anzac Week. The material may be compared with our miscellanies for the same period in 2015 (here, here and here) and 2014 (here and here). There seems to be less Anzac material in 2016 than in previous years though it may be just that we have become less assiduous in our collection. New themes do not leap out. German professor Oliver Janz compares approaches to commemoration by Germany, France and the United Kingdom by looking at official websites, finding the first two to be less gung-ho and less parochial than the UK. But all three are spending way, way less on commemoration than Australia is. How many went along this year? The Australian War Memorial predicted around 60 000 people would attend this year’s Dawn Service in Canberra, compared with 128 700 in 2015. The War Memorial put the actual crowd at 55 000. This was still considerably more than the 2014 number, 37 000. For comparison, the population of the Australian Capital Territory is about 400 000. The National Ceremony later in the morning drew 11 500 (Memorial’s estimate), compared with 31 500 in 2015. In other cities, around 40 000 went to the Dawn Service in Melbourne, 40 000 in Perth, 25 000 in Brisbane, and 8000 in Adelaide. War Memorial director, Brendan Nelson, spoke at the Dawn Service, repeating themes (and words) from previous speeches. Prime Minister Turnbull spoke at the National Ceremony. He touched on recent as well as historical military commitments and referred to some of the alleged Ataturk words about Johnnies and Mehmets. Honest History recently analysed annual visitor numbers at the Memorial and found they have risen and fallen over the last twenty years but have remained at around four per cent of Australia’s population in any one year. Usage of the Memorial’s website has risen but the precise extent of this increase is difficult to measure because of severe faults (and perhaps deception) in the way the Memorial keeps and presents these statistics. In Europe on Anzac Day, terror threats had been expected to cut numbers and so it proved. The Dawn Service at Gallipoli had around 1500 attending (10 000 in 2015) while at Villers Bretonneux there were about 3000, compared with 6500 last year. An observer in France surmised that many people felt the centenary had occurred in 2015 and was not an extended event. Perhaps modern attention spans fall short of sustained commemoration. Who decided to decorate these works with poppies and why? Poppies are placed on the Roll of Honour and also occasionally among displays and exhibits in the galleries. Seton’s works, the Bullecourt tank, the wooden cross in the chamber concluding the First World War Galleries, and the statue Simpson and his Donkey, 1915 are but a few items that have had poppies placed on them by the public. The displays and sculptures are in the Memorial’s galleries, where visitors interact with the displays and exhibits in differing ways. Management is aware of the addition of poppies to the entry and exit corridors and has decided to allow this to continue. Was the opinion of the artist sought on whether the works should be decorated and, in the case of Seton’s whether names should be attached to each flag? It is known that among those who have placed poppies on Seton’s sculptures are service personnel and the families of those who lost their lives as a result of service in Afghanistan. The poppies are viewed not as a decoration but as the personal and public expression of visitors’ respect for the lives lost. The artist is aware of this public reaction, and of the additional interpretative text including the men’s names and ages at death. He was also involved in the drafting of the wall text explaining his original intention for the sculptures. 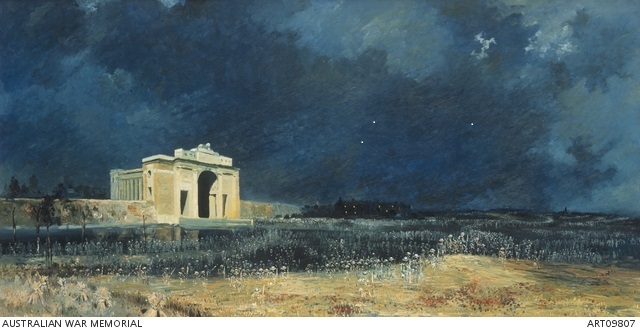 Would the Memorial consider decorating or perhaps adding additional strokes of paint to, say, Lambert’s The charge of the 3rd Light Horse Brigade at the Nek or Longstaff’s Menin Gate at midnight? The works are not being altered through the addition of brushstrokes, as you imply. The poppies can be removed, and this has been done so on occasion; our staff continues to monitor the condition of and additions to these sculptures and photographs. A while ago Honest History noticed that the War Memorial seemed to have more poppies in its building and environs than it used to. They were tucked in the collar of the explosive dog statue outside Poppy’s Cafe, they were wound into Simpson’s donkey’s bridle, and they were, rather surprisingly, sprinkled over the marble sculpture flags making up Alex Seton’s work ‘As of today’, which now sits in the corridor leading to the Memorial shop. Placing poppies perhaps helps visitors connect with the exhibits at the Memorial. We did wonder, though, whether Alex Seton and Peter Corlett, who did Simpson and Duffy the donkey, and Ewen Coates, the detection dog artist, had been consulted on whether their work should be ‘improved’ in this way. We asked the Memorial this question in relation to Seton’s work and are awaiting a response. The ‘anonymous nature of the individual flags‘, Seton’s intention, has also been tampered with in that each flag now carries the name of a dead soldier. The permission issue is less problematic if the artist is dead, as are the painters, GW Lambert and Will Longstaff, both of whom are well represented at the Memorial. Would the Memorial object to visitors shoving poppies in the frame of Longstaff’s Menin Gate at Midnight, for example? What if a really enthusiastic visitor, seeking the ultimate in ‘connection’, wanted to paint a poppy in the corner of one of the Memorial’s works? That is, of course, unthinkable but it is equivalent to the poppies plonked on Seton’s flags. Perhaps the need for connection trumps artistic integrity. Or perhaps a sculpture is just different from a painting. Meanwhile, we also await a response from the Memorial to some other questions we submitted in February regarding why its Ataturk exhibit (complete with two different versions of his alleged words) takes no account of recent research regarding the origin of those words. We noted some time ago that the Department of Veterans’ Affairs now just describes the words as ‘attributed’ to Ataturk but the Memorial is still catching up. Last Anzac Day, a senior Turkish military officer, the Turkish ambassador and the director of the War Memorial planted three saplings of the species pinus halepensis (Aleppo Pine). They were grown from the Lone Pine that grows in the Memorial’s grounds, sometimes thought to be descended from the original tree at Gallipoli. 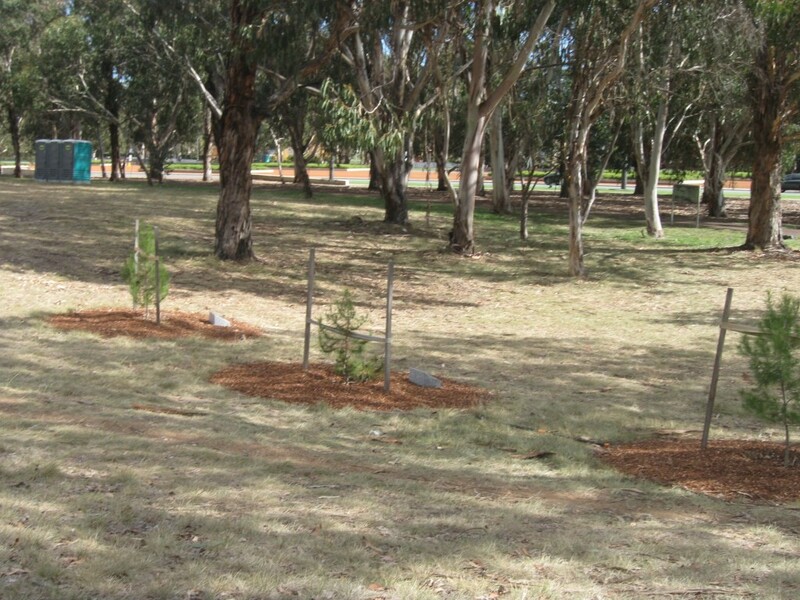 The saplings were planted near the Ataturk memorial across the road from the War Memorial. They seem to be awfully close together, certainly much closer together than the three pines that were planted in 1990 to mark the 75th anniversary of the Gallipoli invasion (referred to as ‘landings’ on the three 2015 plaques). In fact, the 2015 trees are just five metres apart, where the 1990 trees are ten metres apart. We checked some horticultural literature and found that Aleppo Pines should be planted at least ten metres apart, depending on soil, rainfall and so on, unless they are intended to form a windbreak. Mature Aleppo Pines can be up to 20 metres high and 15 metres wide. So it seems that these three centenary trees will either become entwined together, thus making a statement about Australian-Turkish relations, or bonsai themselves because they lack room to spread. That would turn them into some sort of monument to Australia-Japan relations. Unless, of course, the planting is indeed meant as a memorial windbreak. Minister Tehan made a speech at the Gallipoli Dawn Service and we read it with interest. (Update 4 May: He gave a longer version in Parliament.) Compared with some of the genre it was much more about an individual story, of Lieutenant Duncan Chapman, than about mass sacrifice and national birthing. That was good. Mr Tehan’s predecessor but one as Anzac centenary minister, Michael Ronaldson, used his speeches to go on about blood sacrifice by children. We hope Minister Tehan does not continue that tradition in his future speeches but he is up with his predecessors in media releases (19 on Anzac and veterans’ affairs generally in his first ten weeks, compared with 18 from Minister Ronaldson in the equivalent period and 21 from the minister in between, Stuart Robert). 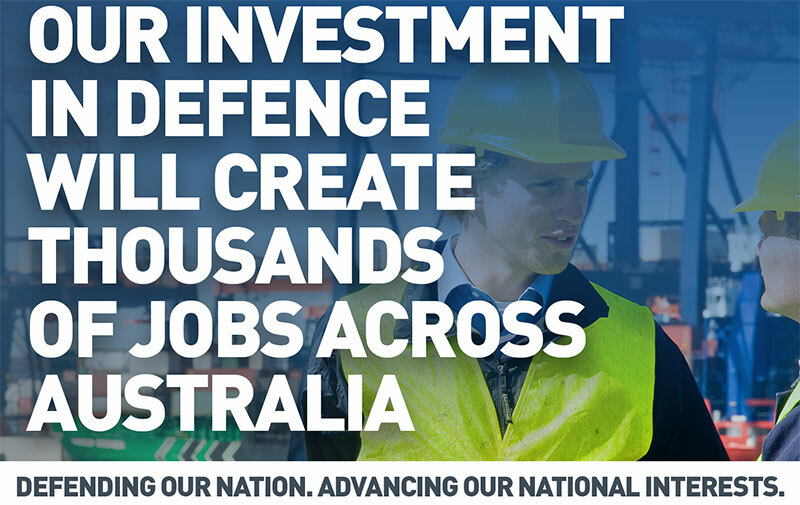 So, a steady if unspectacular start from the Minister, but then he is also Minister for Defence Materiel, which probably requires a considerable amount of his time, comparing bids for submarines and trying on new items of kit. The Minister has some other military links, too. His electorate of Wannon in Western Victoria once belonged to Malcolm Fraser, Minister for the Army and for Defence in the Vietnam War era, then prime minister, but much reconstructed in his views in later life. The electorate also includes the grave at Buangor, near Ararat, of General Brudenell White. 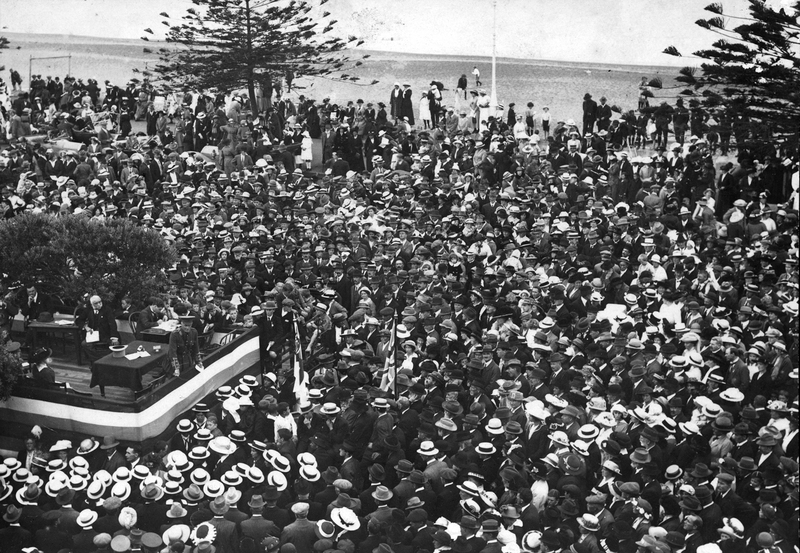 The grave was restored in Minister Ronaldson’s time, using money from the Anzac Centenary Local Grants Scheme. When Julia Gillard was prime minister she was pleased to give President Obama not only a Sherrin football but also a donation of $3.3 million dollars towards building a visitors’ centre adjacent to the Vietnam memorial in Washington DC. Australia is a ‘three star donor’, joining other large donors such as the Time Warner Foundation, Conoco Phillips (an energy company), the Republic of Korea, Boeing, FedEx, and Lockheed Martin. The Gillard donation to Washington sits alongside Australian government contributions to domestic commemorations of the Vietnam War this year, the 50th anniversary of the Battle of Long Tan. Meanwhile, US Marines are well settled in Darwin, a deal that was announced by Ms Gillard and President Obama later in 2011. In the intricate complexity of Alliance diplomacy perhaps there is a connection between that $3.3 million dollars and the US presence in the Top End. Some of the most interesting and worthwhile work on the Anzac centenary is being done in suburban and regional areas, the places whence the men and women came in 1914-18 and to where most of them eventually returned. Moreland City Council in Melbourne, for example, has a comprehensive online exhibition of posters. Meanwhile, down at Yarram in Gippsland is the Shire at War website, which we have mentioned a number of times. Most recently, the site, wrangled by Phil Cashen, has posted some detailed analysis of the backgrounds of men who enlisted from the Shire in the second half of 1915. Beyond the public areas of the Australian War Memorial, experts work to preserve memorabilia. They are very good at what they do, as this piece in the Perth press makes clear. Surprisingly, some of the biggest problems are with material from the Vietnam War era, where the acetate colour movie film used at the time was so chemically unstable that privately stored film may well have deteriorated past recovery. Saving it has become a race against time until a new scanner arrives. Te Ara Hiko, the newsletter of Te Ara, the Encyclopedia of New Zealand, has been passed on to us and it includes more on the recent very important discovery that there were many more New Zealanders at Gallipoli than was previously thought – even more reason for Australians not to forget about the ‘NZ’ in the acronym – as well as some material on how the commemoration of Anzac Day in New Zealand has changed over a century, and other items. ‹ Review note: Vietnam – the war that made us what?